Our brand-new Donation Centre needs you, and your pre-loved goods! 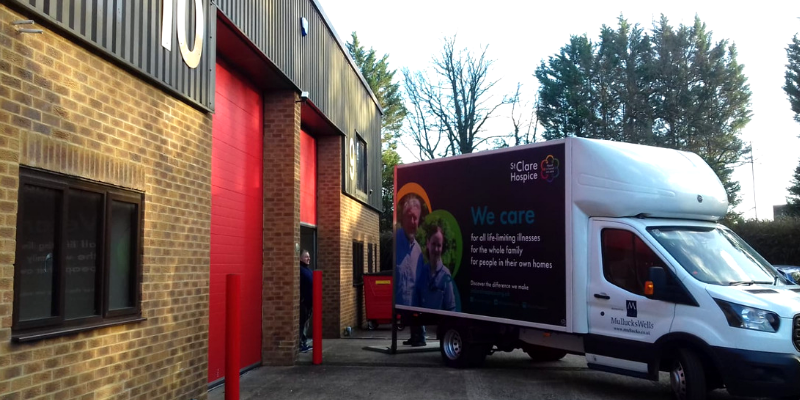 This week, St Clare Hospice is opening a new Donation Centre at the Links Business Centre in Bishop’s Stortford, which will help us raise vital funds for future patient care. The Donation Centre will open its doors for donations from the public on Wednesday 23rd January 2019 at 8.00am. Each year, St Clare receives more than 60,000 bags or boxes of donations, which are processed by our Retail volunteers. Until now, sorting through donations has been exclusive to St Clare shops alone; however, the launch of their our Donation Centre will ensure that we can make the most of each donation we receive. St Clare’s nine charity shops provide the single largest revenue source for the hospice, and each of the shops rely on generosity from the local area. The launch of our Donation Centre will enable us to utilise more stock and get the right items out to the most suitable St Clare shop. This exciting development within the Hospice’s trading arm is therefore set to help raise even more in vital funding for St Clare. It costs over £4 million each year to provide the our vital services (including clinical and support services) and, with limited NHS funding, the revenue raised by St Clare’s trading company is essential. The new Donation Centre needs people to donate their time, as well as their goods. Volunteers are needed to help catalogue and sort donations and provide good customer service to people donating to the Centre. Around 24 volunteers are needed to help the Donation Centre provide an efficient service to its donors and the our nine charity shops located throughout West Essex and East Hertfordshire.